Just a quick reminder to use our support desk when you have questions, run into obstacles, or have any suggestions regarding your integration with MiDataHub. Send an email to support@midatahub.org . This will generate a ticket within 5-10 minutes. 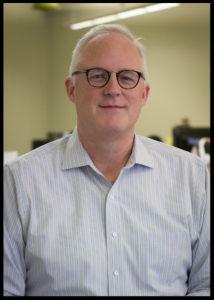 Andrew Henry is the founder and President of Red Cedar Solutions Group . He is passionate about employing design thinking, technology, data and innovation to address some of our most challenging issues: educating our children and managing rapid, complex change in organizations. Prior to founding Red Cedar in 2006, Andrew played many roles in the education community: teacher; school district technology coordinator; education technology researcher; State of Michigan Director at the Center for Educational Performance and Information; and Chief Officer for Research and Development at Learning Point Associates, parent company for the North Central Regional Education Laboratory in Chicago. Andrew is also a board member of EduGuide , a nonprofit organization whose focus is on building student passion and “grit” to support core learning skills. Thank you Andrew for being a part of the Michigan Data Hubs! M-STEP Reminder - We have a new "Documentation" section on www.midatahub.org . Click the "Vendor Support Information" section, then click "M-STEP" and you will find screenshots for configuring your district's M-STEP Integrations. Please send any questions to support@midatahub.org . This week we had our first of a series of Vendor Spotlights. 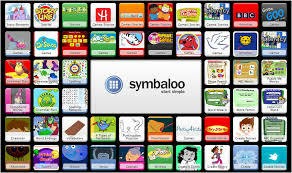 Symbaloo shared their commitment to Michigan by offering a free pilot to the first 9 districts that sign up! In addition, they have included free but mandatory PD for teachers in the districts that are going to give this integration a go! Please send an email to support@midatahub.org if you want to join the pilot or need more information. As districts continue to configure the Eidex API integrations we are starting to see an increased amount of requests from districts (per Eidex) to roster past years data (16-17 and even 15-16). By default these ODS are not currently configured in your Data Hub Cockpit. To enable past years ODS you will need to request that through submitting a ticket to the helpdesk at support@midatahub.org . Please make sure your current SIS tool is enabled to send the previous years prior to configuring the system. If you have any questions please reach out to us at support@midatahub.org . Audience: This training is designed for ISD School Improvement or MTSS teams to invite and accompany local district teams. Teams will leave with a plan to implement EWIMS in the local district, along with the support of their ISD partners. Registration: Please register all individual district and ISD team members. Lunch is included. The $25 registration fee will be waived for all attendees registering by the November 9, 2018 deadline. Requirements: MiDataHub SIS integrations and Dashboards are needed for the training. 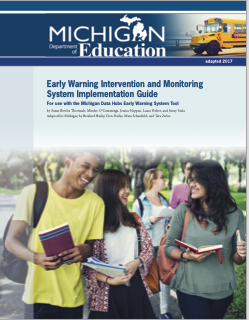 If you are unsure of your district status in MiDatHub please reach out to support@midatahub.org and ask about your integration status for EWIMS. For questions regarding registration, teams, or content, contact thoag@gomasa.org or baileyb1@michigan.gov .